It takes an inquisitive, questing spirit to produce the most remarkable results. Through the years PJ Rigney has taken many journeys from the familiar into terra incognita. In time, those travels brought him to the wild and unspoiled landscape of Drumshanbo, County Leitrim. It was here that his curious mind, filled with the great eastern traditions of distilling fruit, herbs and botanicals, went to work. 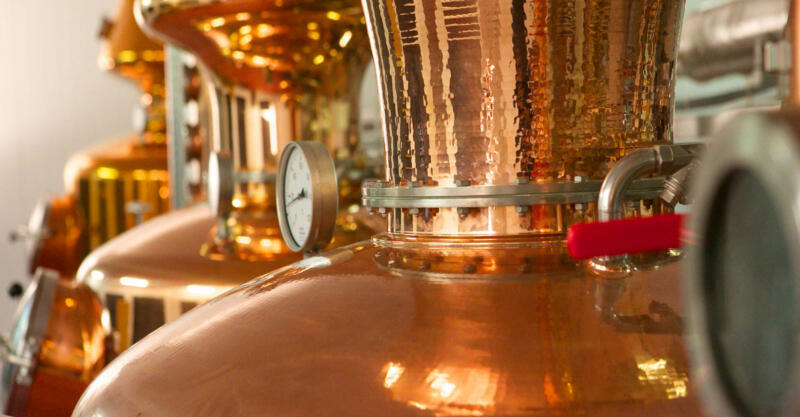 He created The Shed Distillery of PJ Rigney, with its medieval copper pot stills, and began a quest to fuse eastern botanicals with local Irish plants. As it turned out, they got on very well. The result of this passionate exploration is Gunpowder Irish Gin - as unique, extraordinary and remarkable as the elusive creature pictured on the label, the Drumshanbo Jackalope.